Often, waste was burned in open-air pits, with jet fuel sometimes used as an accelerant. At many bases, virtually all waste was burned, ranging from paints, solvents, tires, plastics and Styrofoam to batteries and electronic equipment. Depending on the burn locations and prevailing winds, smoke frequently permeated these outposts and adjacent areas. 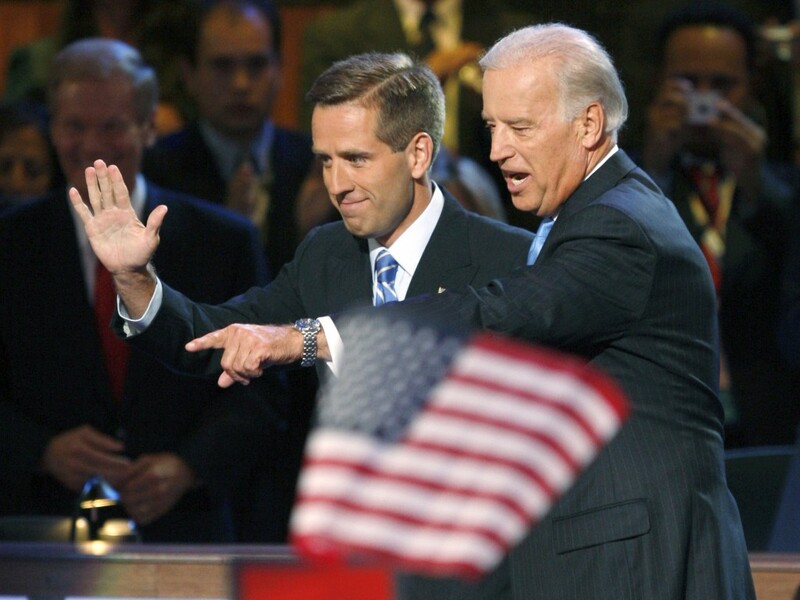 As a major in the Delaware Army National Guard, Beau Biden’s judge advocate general unit was activated in late 2008. He served in Iraq for much of 2009 at Camp Victory in Baghdad and Balad Air Force Base, 50 miles north of the Iraqi capital. Both bases used large burn pits. Earlier, he helped train local prosecutors and judges in Kosovo after the 1998-1999 war. In what appear to be the two-term vice president’s first public comments about the possibility that his late son Beau Biden’s brain cancer was caused by burn-pit smoke, Biden acknowledged he was unaware of “any direct scientific evidence” of a linkage. But Biden, who was tapped by former President Barack Obama in early 2016 to lead the “Cancer Moonshot” initiative, noted in the­­ PBS NewsHour interview that “a lot higher incidence of cancer [is] coming from Iraq now and Afghanistan than in other wars” and “a lot of work is being done” to research it. Biden also said that reading “The Burn Pits: The Poisoning of America’s Soldiers,” a book on the topic by Joseph Hickman, which included a chapter on his son Beau, opened his eyes to the possibility of a link to his son’s cancer. Biden compared living and working near a military burn pit and a factory that pollutes. “We know now you don’t want to live underneath a smokestack where carcinogens are coming out of it,” Biden said. There is also not much data in the public record about the prevalence of glioblastoma multiforme among Afghan and Iraq war veterans. 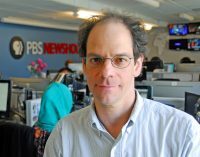 “The median age for onset of this condition (glioblastoma multiforme) is 58, and currently there is no difference in glioblastoma multiforme occurrence rates for Iraq and Afghanistan veterans and the U.S. population as a whole,” Curt Cashour, press secretary at Veteran Affairs, wrote in an email. Rose Torres, founder of the online registry “Burn Pit 360,” said that 10 veterans have reported a glioblastoma multiforme diagnosis, among more than 6,000 Iraq and Afghan war veterans who have registered at the website. At many bases, virtually all waste was burned, ranging from paints, solvents, tires, plastics and Styrofoam to batteries and electronic equipment. The medical community appears to be divided on whether there is a connection between glioblastoma multiforme and toxic exposure. In general, “exposure even at low levels can measurably raise the chance of developing cancer, so some cases — not many — arise from even modest exposures,” Guidotti said. Neurologists appear more skeptical of a connection. But others see it differently. 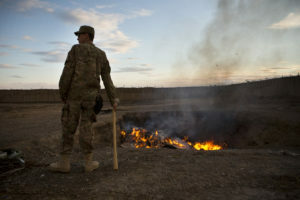 “There is enough evidence to connect certain carcinogenic and neurological outcomes with exposures to multiple toxicants disbursed in the air from burn pits, as well as other toxicants in the local environment,” said Dr. Victoria Cassano, a retired Navy captain and a former acting chief consultant for environmental health at the Department of Veteran Affairs. “Without making a blanket statement that all cases of GBM [glioblastoma multiforme] are due to burn-pit exposure, I believe that on a case-by-case basis, given the history and duration of exposure, an association can be made,” Cassano said. Cassano said oncologists – physicians who specialize in cancer treatment – are usually the first line of defense in treating brain cancers. But generally speaking, they are not well suited to “connect exposures to outcomes,” Cassano said. For example, research has shown that firefighters who are exposed to numerous chemicals in smoke and agricultural workers exposed to pesticides while working in the field or processing produce could face a higher risk for developing cancer. Similarly, military personnel who were exposed to burn-pit smoke could have a higher risk of developing cancer, she suggested. “There is a considerable debate” between neurologists, and occupational health and environment doctors, but that “the issue does not arise often enough for the differences to be talked through to consensus,” Guidotti said. Jill S. Barnholtz-Sloan, a professor in brain tumor research at Case Western Reserve University School of Medicine, said a multidisciplinary approach would help establish whether or not there is a potential relationship between burn-pit exposure and cancers. “The more perspectives you have, the more likely you are to find a solution,” said Barnholtz-Sloan, though she added that too few studies have been done on the cancer and veterans to prove a link between exposure to burn pits and brain tumor risk. In the PBS NewsHour interview, Biden himself was cautious in drawing a direct connection to burn pits and his son’s cancer. Cassano agreed, warning against identifying the cause of Beau Biden’s brain cancer without additional facts. “I would need to know [his] family history, his history of smoking, and other positions and hobbies that may have exposed him to carcinogens,” she said. Discerning causation would likely require knowing how close his living quarters and office were to the base’s burn pit, according to Cassano. Patients are also typically asked to recall how much soot and dust were in the air they breathed, she said. Without that information, Cassano said, it’s impossible to know.